It's catch-up Friday again. Here are some great new products, apps, and links from our nurse colleagues. Check them out! Be inspired. Find great products and resources. Many Thanks to Horizon Healthcare Staffing for listing TheNursingSiteBlog as one of the Top 10 Nursing Blogs for 2015! 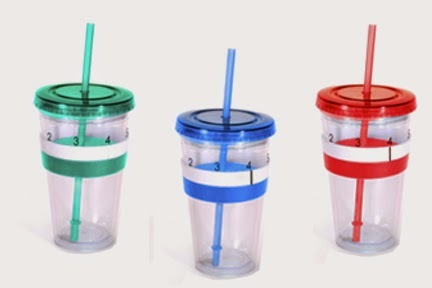 The AquaTally cup was invented by a nurse (Julie Bischoff, RN, PHN) to help us all keep better track of our liquid intake of anything from water to coffee (hot to cold). Check out this great video to show you how it works. I remember vividly in nursing school struggling with those heart rhythms and one day the light bulb turned on. Sadly many of my classmates still struggled. The instructor was quite harsh sometimes and intimidated the students. I know we had to learn to recognize them quickly as anyone in telemetry, ER or intensive care settings, etc would, but really??? Anyway this seems like it would be very helpful app. And maybe Ricardy will learn to code IOS apps too. Watch for more teaching apps from Ricardy. Thanks Brittney Wilson (The Nerdy Nurse) for the Ultimate List of Nurse Blogs and Social Media Accounts to Follow. It's a huge comprehensive list where you can LIKE and FOLLOW from one site. Please take a look and spread the word. This isn't from a nurse, but is a great app to help nurses snag those nursing jobs right from your phone or tablet. Snagajob.com offers both IOS and Android versions. Are you a nurse who has invented something, or do you have an invention that's relevant to nurses? Send me your info and I'll consider posting a link.